TAURUS is an earth sign and earth lover, sensual, artistic, grounded, practical, romantic, financially focused, loyal, stubborn, and possessive. MUNDANE Taurus, you’re like a brick wall. You think you might know it all, must have it all, and are happiest when in control. When you adopt a trend, you think that’s the way everyone ought to go, too. When you’re emotionally insecure, you often project that onto partners thereby attracting childish mates. Short-sighted sometimes, you can’t see beyond the ‘box,’ yet maintain that your ‘box’ is the truth. This might piss off lots of people, so before you dig your heels into the Earth to hold your ground, think twice about telling others what to do and how. When you deny how sensitive you are, (so cuddly on the inside), yet are wounded by every opposing view, you might charge at others with empty threats. Anger is the hardest thing to feel, next to betrayal. (I know, I know, I’m a Taurus, too. And my husband’s a Taurus Rising!) But it’s key that you learn to LET IT GO. Part of your possessive nature is to hold onto things, feelings, and people to feel secure. ESOTERIC Bulls are gentle and powerful healing facilitators. Your intuition is honed as you feel, then express and articulate your deepest feelings. You know how to bridge the gap between feeling and thinking for the world through health, energy healing, food, finances, beauty, and art. You set a pace for those who need to learn from endurance. You’re the most loyal of all the signs and look for moments to just “be” with you. Wanna hang out and laugh? You’re protective of siblings and friends, and encourage with unique, relaxed insight instead of pushing or threatening. You often have a tough time allowing yourself to get back as much as you give. Sometimes you just don’t feel worthy. BUT when you do, oh, wow. You’re super abundant and share the wealth! That’s when you’re able to teach what abundance and prosperity can mean to others. You’re dedicated to knowing, by having then sharing, and teaching that wealth on all levels is gotten from the inside out. When Taurus is on the rise, the planet Venus guides the general theme of a person’s astrological chart. TAURUS RISING is almost as impatient with their feelings as their Aries Rising friends. You’re very sensitive to noise in the early years. It’s an indication of how much you hate being rushed or pushed to do something. Too much motion can feel like way too much noise! This is when rock-hard stubbornness sets in. You cannot be pushed to go faster if you’re not comfortable and feeling secure. But isn’t it such a treat to watch you overcome obstacles when you’re determined to jump in feet first! Simultaneously, you’re cautious and prefer to observe until you find your footing. It’s like watching kids play Double-Dutch jump rope. You lean in, getting ready to leap. As soon as you trust yourself, you fly! You have a single-mindedness that’s sometimes too controlling. It has to be your way or no way at all. And no way at all for you means failure. You just plain hate to lose… losing your possessions is your greatest fear. Keep in mind that sometimes those closest to you are considered a possession, too. But then you need to know the ‘who, what, where, when, and why of your friend’s actions. You like to know, in order to have. This helps you to feel secure. The Taurus Rising sign doesn’t see this as a possessive trait, but rather specificity and literal communication. You need others to be exact, if you please, because surprises sometimes mean uncomfortable feelings. When you feel threatened, or out of control (not having what you think you need,) you hold in your feelings to be available for others. That is, until you blow! But if you get to this point, you’ve been holding some scary vibes and need tender, loving patience! You don’t want to explode or get angry so you hold it in, until it stockpiles…hence the kablooey. It’s important that you vent often! Underneath it all, you need to be reassured when feeling insecure. Start to trust that there are solutions you’ve not thought of yet. Material things get your attention and you’ll use attachment to material things as a replacement for deep connections sometimes. Or to have your own ‘stuff’ (home, things, land, privacy). You can be judgmental of how things need to be done since you have a way that ensures security. If you cannot ‘see’ another way, you’ll resist others. On the job, you’re reliable with keen senses. As soon as you curb judgments and EVALUATE a situation, you’ll move quicker and with confidence. You’re soothing to your partner and children and make great nurtures, especially in the culinary arts, finances, and with aesthetics. In fact, music and art are great inspirations for you. You might find potential partners or deepen your relationship to current partners through the arts, movies, entertainment, restaurants, dance, body work, yoga, fashion, and believe it or not… with tattoos! It’s key for you to connect to your inner sense of RESOURCE to be more comfortable in your own skin. That’s when you make greater contributions to the world. You’re supportive of and truly care about friends and family. Maybe it’s your infectious laughter! If you overindulge in food or drink or the pleasures of life, you tend to feel heavy and stuck or sleepy—like a lazy ol’ bull put to pasture. You like to work solo without being told what to do. Your ultimate learning curve comes with utilizing your empathic nature to work with others and to EQUALLY allow yourself to receive comfortably. Getting your hands dirty, building, gardening, cooking, cleaning, and using your problem solving skills will continue to make you feel productive and happy. You can become a terrific artist, musician, chef, mediator, body worker, dancer, or financial advisor. 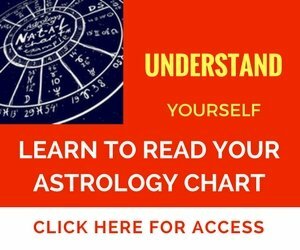 Depending upon certain aspects in your chart, you can also bring new thoughts to the planet with regard to our origins by posing philosophical and scientific questions You certainly like to make others think! Massage or Network chiropractic—to get stubborn resistance out of your neck—Emotional Freedom Technique and Neuro-Emotional Technique—as those modalities offer a safe way of releasing pent up emotions. Gardening, cooking, art, holy shrines, small trips to museums, arboretums, sacred spaces also help inspire and soothe. I’m safe and secure as I feel and express a full range of emotions. 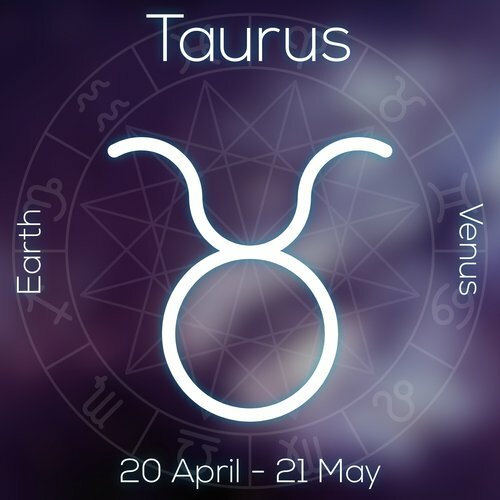 Notable Taurus Rising Signs: Mae West, George Lucas, Dan Rather, Nikola Tessla, Cloris Leachman, Dionne Warwick, Fritjof Capra, Dr. Martin Luther King, Amelia Earhart, Ani Chodrin, Dean Edelson, and David Letterman. Taurus Moon—you need proof of security, security, security! You tend to go after partners with money or high paying jobs that don’t necessarily nurture creativity. The perception of your Mother was one of struggle with judgment (either she was judged by the dad or she judged herself for not being able to problem-solve career and home life). In many cases the parents were separated or divorced or divided ‘security’ in the home. You can find security in learning to trust that negative emotions aren’t permanent or are they harmful, unless you hold them in. Your Taurus Moon might equate feeling negative emotions with financial instability and lack of security. On the brighter side, when you place value on a sense of your own worth, your money-making ideas flourish! You’ve got so many ideas on how to make money via the arts, entertainment, food, children, comedy, finances, building communities (like community gardens! ), organizing groups, and with nurturing the playful side of your life. The best remedy for you during any struggle is emotive counseling, such as Gestalt or punching pillows and screaming in a car with the windows closed. This will help you feel and release irritation at being insecure. When you hold emotions without letting them go, suppressed anger can build up so it’s important to have a regular routine of release. Once you allow yourself to value a full range of emotions and go to deeper levels of feeling, you’ll have more confidence and feel safer. From this point, you’ll attract uplifting opportunities.